As president of Berman Larson Kane, which was named “Best Employer in New Jersey” by NJBIZ magazine. Bob leads one of the country’s foremost staffing firms and one of the first nationally-credentialed firms in the United States. Bob is a nationally recognized speaker and author whose published works include Aim, Shoot, Get Hired! and numerous articles in a wide range of professional journals and magazines. In addition to his work as president, he served for two terms as chairman of the board of the National Association of Personnel Services, a national organization that represents more than 1,000 staffing firms. He has also served the Association as district director as well as president of the New Jersey Staffing Association and certified employment arbitrator and staffing ethics chairperson for New Jersey. 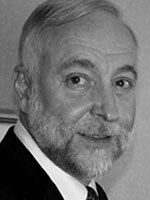 Inducted into the Staffing Hall of Fame in 2007 and the recipient of numerous awards for his work throughout the years, Bob began his career in 1980 when he was one of two founding partners of both Berman & Larson and Larson Consulting Services. He purchased the firm from his partner in 1988 and purchased HR Pros, a Rose Kane company in 1999. In 2008 he acquired a clinical and medical affairs recruiting and consulting firm. Holding a bachelor’s degree from New Jersey City University where he majored in sociology and minored in computer science. He has completed graduate studies in human resources and people development at New School for Social Research. Bob earned CPC (certified personnel consultant) designation in 1992.